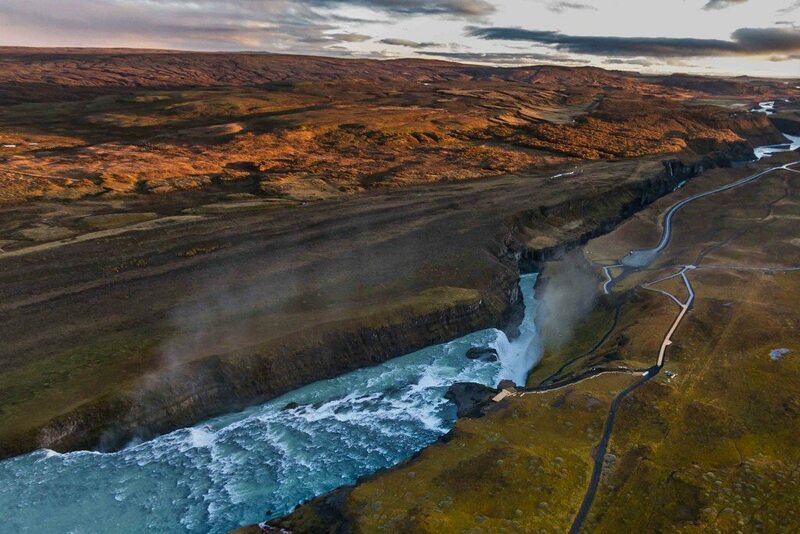 Gullni Hringurinn - the Golden Circle is a popular route which includes Þingvellir, Geysir and Gullfoss. Þingvellir is a National Park with both historical and geological interest. Here, you can see the continental rift with your own eyes. It is also Iceland’s cradle of Democracy and the birthplace of Althingi, the oldest parliament extant in the world. The name Þingvellir means Parliament field. “Geysir” is one of Iceland’s most renowned characteristics and is located in a geothermal area in Haukadalur. Geysir is surrounded by other smaller but more active geysers like Strokkur, which launches boiling water 10-40 metres into the air. Gullfoss, the “Golden Waterfall”, is a powerful waterfall fed by the glacial river Hvítá, running from lake Hvítárvatn at Langjökull glacier. In special conditions the waterfalls looks golden. The Golden Circle is best explored by car, but it is also included in our Essential Iceland tour.